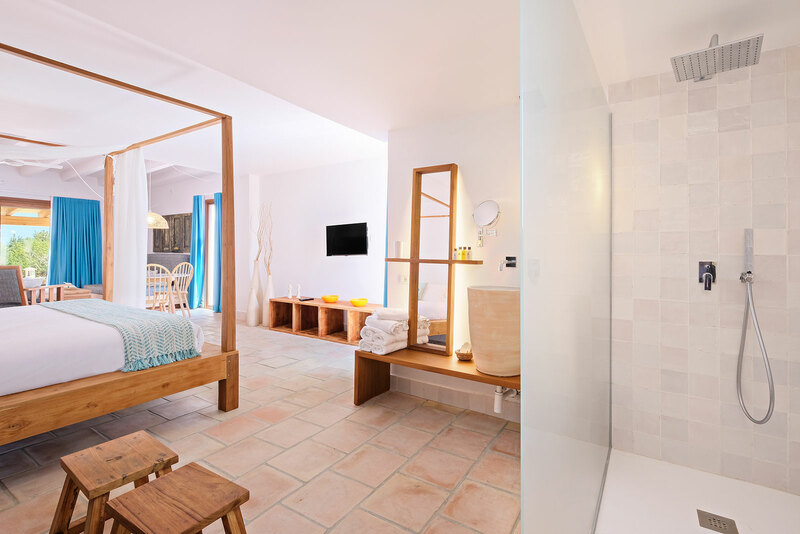 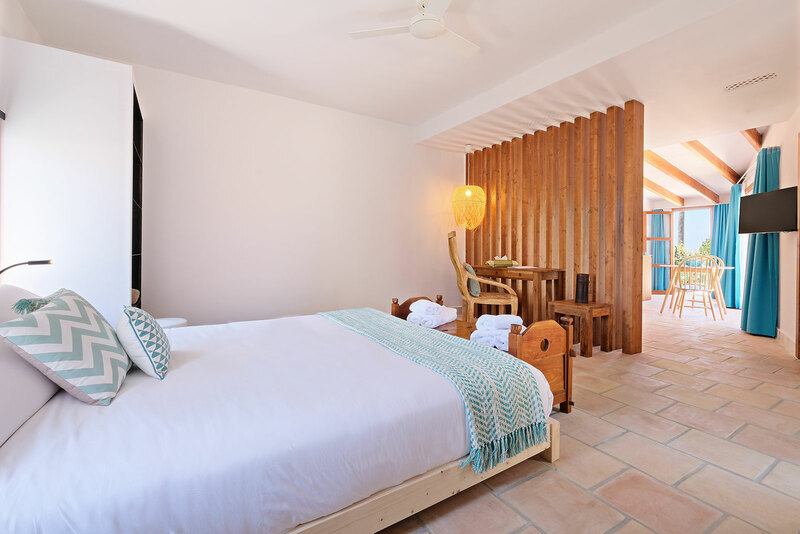 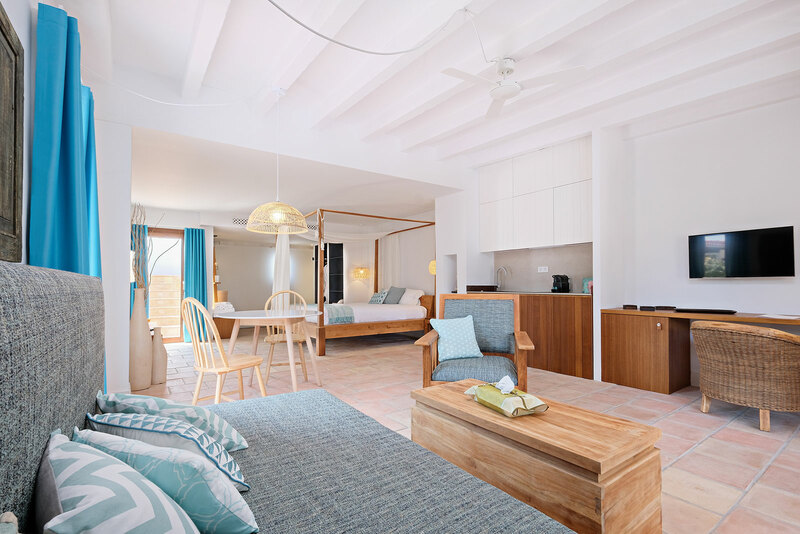 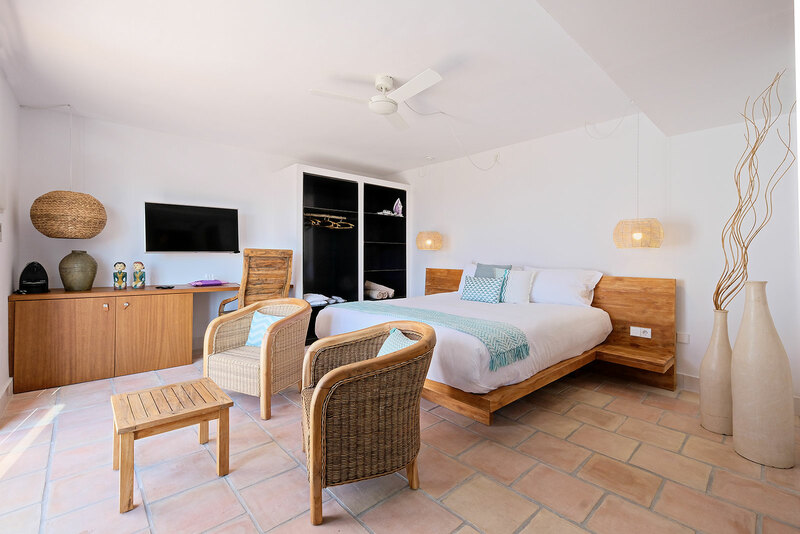 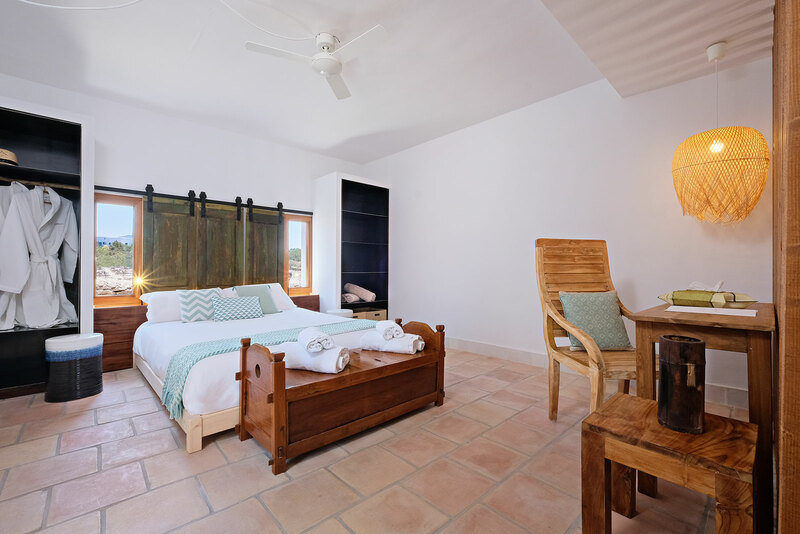 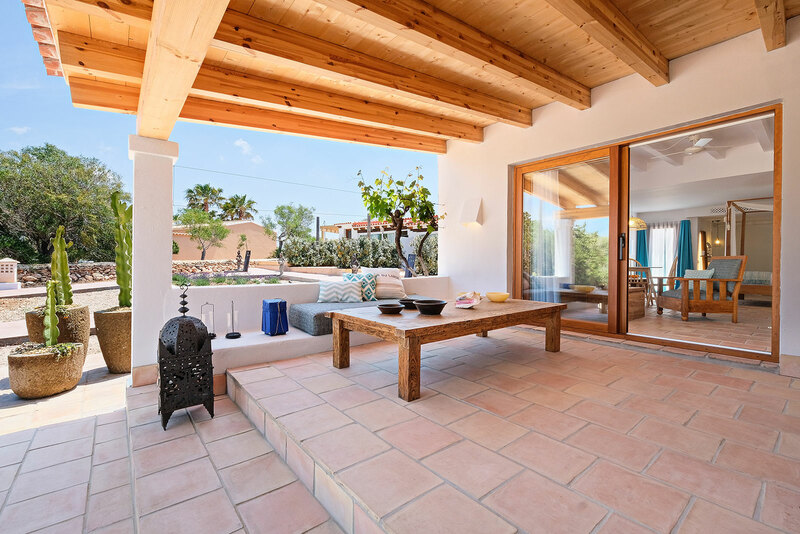 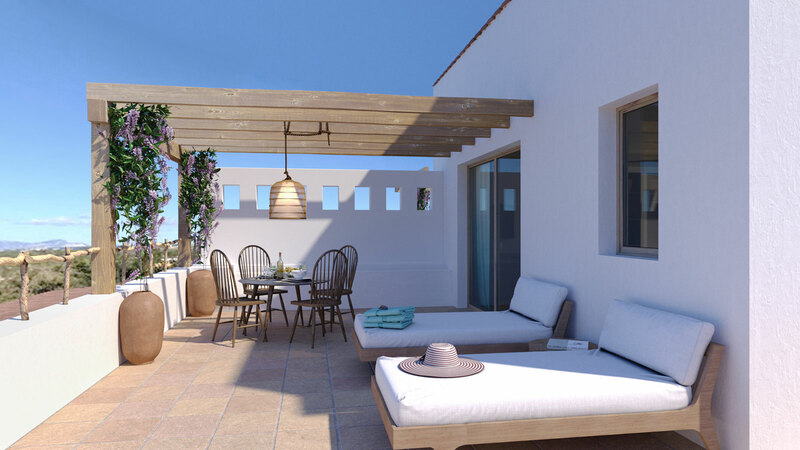 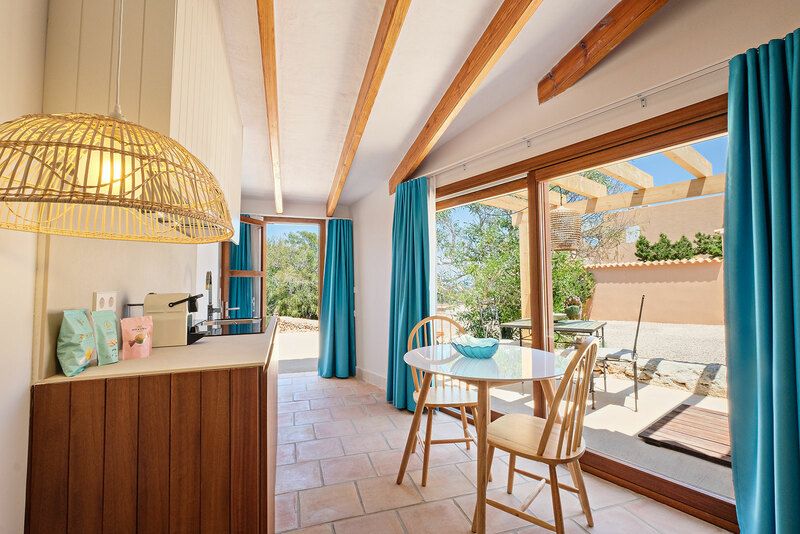 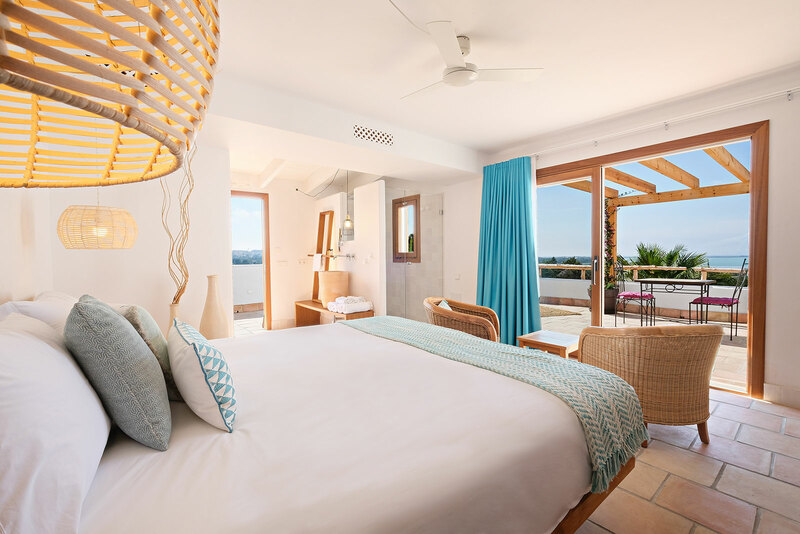 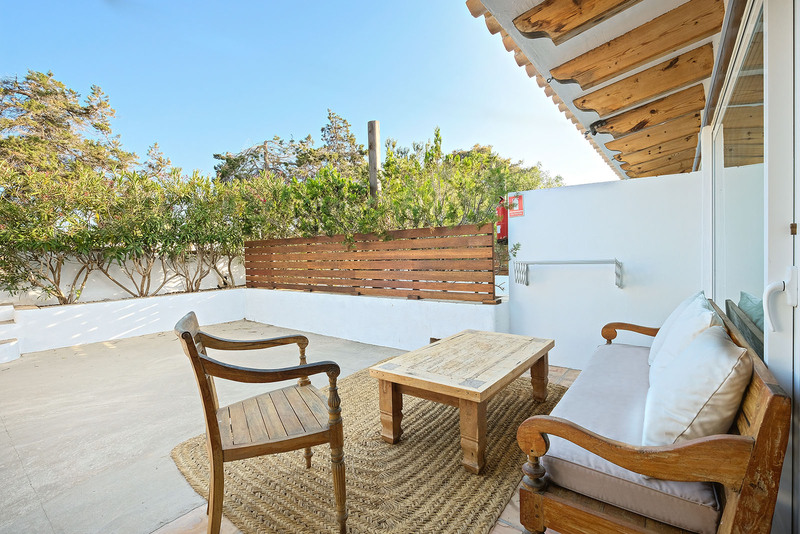 Discover the original apartments and the exclusive room that La Masía Formentera has to offer. 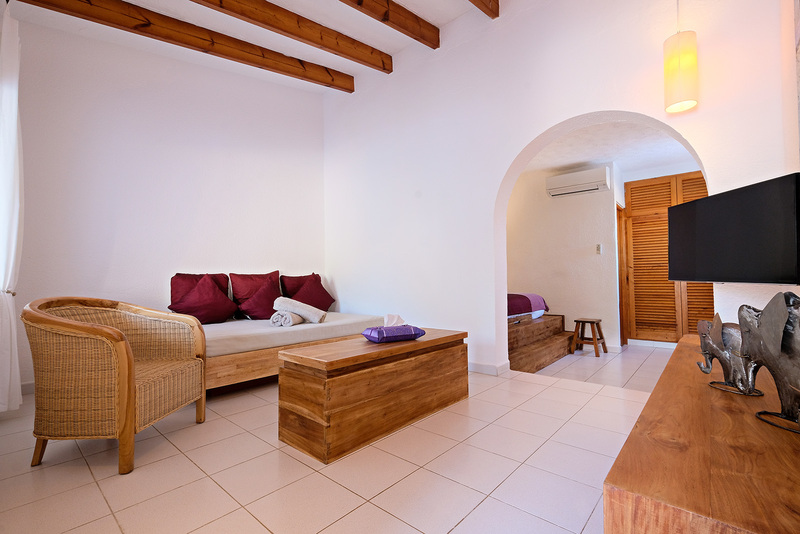 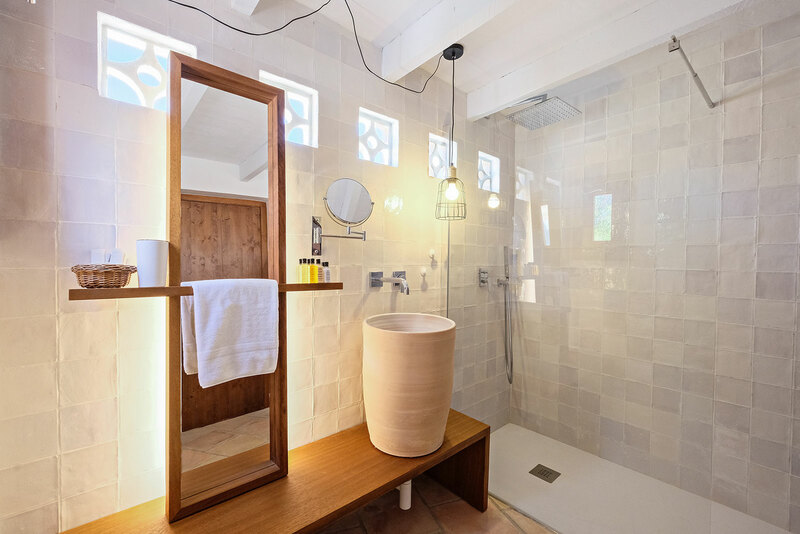 All the apartments are double and have internet WiFi, air conditioning heat/cool, fine bedsheets of 100% percale cotton, towels and swimming pool towels, bathrobes and slippers, Nespresso coffee machine and a private terrace where you can have your personalised breakfast every morning. 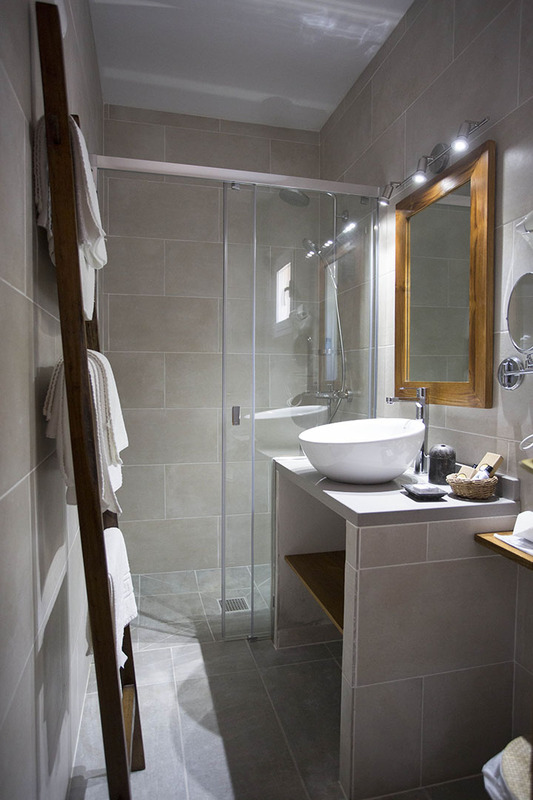 We invite you to take a look at the details.